From blacklights to neon colors, DJs to photographers, and illustrators to an on-scene tattoo artist, you may rest assured that there will be a variety of exhibitions to tickle every art-lovers’ fancies at this art party. Get your white outfits on and enjoy the blacklights! For its third volume, BLiSS hosts ART PARTY – NEON at ArtGang this Friday, November 3rd, to exhibit Montreal’s female-made art scene. April 2017, BLiSS hosted its first ART PARTY, its theme being the female body, and it was located at the Matahari Loft…now-closed :'(. 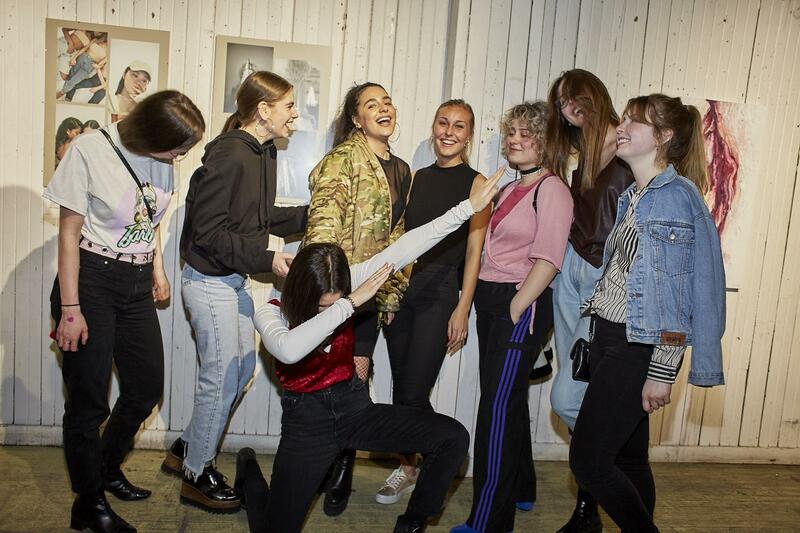 ART PARTY began when the main organizer, Naomie and two of her friends, Audrey and Victoria, started to plan a “5 à 7” exposé for Montreal’s female artists. All three of them are artists; Naomie is a painter, and Victoria and Audrey are photographers. With their differing artistic experiences and visions, their collective idea reshaped rapidly for the better; first by adding on DJs and then a tattoo artist! The first volume was by all measures a success, having been solely produced by women who brought female artists into the spotlight and pulled in 500 attendees to witness the final product of all their artistic creations. Since then, Naomie joined BLiSS and has hosted one other AP this past August, themed after textures. It received 400 attendees and was located at ArtGang. Check out the video recap of ART PARTY – TEXTURES Vol.2 to give you a better feel for what to expect. For a millennial such as myself, I get a nostalgic feeling around the theme of this party. It takes me back to being totally entranced by my friends’ lava lamps when I was younger. And guys, real talk; who didn’t lose their minds the first time they used a blacklight?!? Now that I’m an adult, I still use blacklights with the added neon body paint. Hehehe. 😀 Come get nostalgic with me at ART PARTY – NEON! Fingers crossed they have body paint!!!! Click ‘like’ at the top of this post if you’re interested in attending!! …and “going” on the event page. Link below!